Perhaps my favorite part about living in Tampa is the fact that I can shamelessly eat ice cream the entire year. I can't be scoffed at for eating the frozen treat in the dead of winter because it's still sweltering. The businesses and families in the area seem to recognize this obvious perk, so there are no shortages when it comes to ice cream shops. 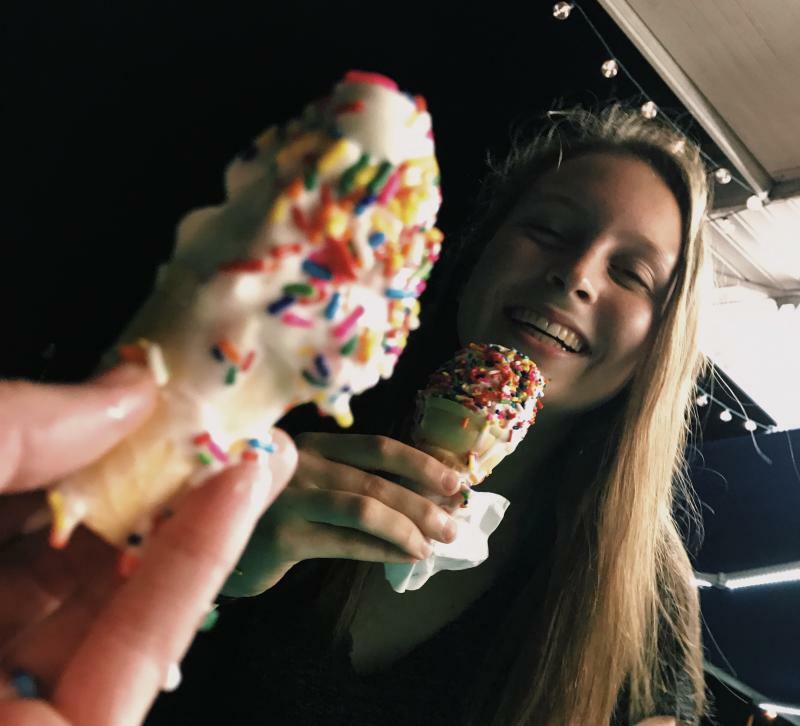 This makes it hard to choose a favorite, but lucky for you I consider myself to be somewhat of an ice cream expert, which I hope to prove to you through this short list detailing my favorite scoop shops around the 813area. 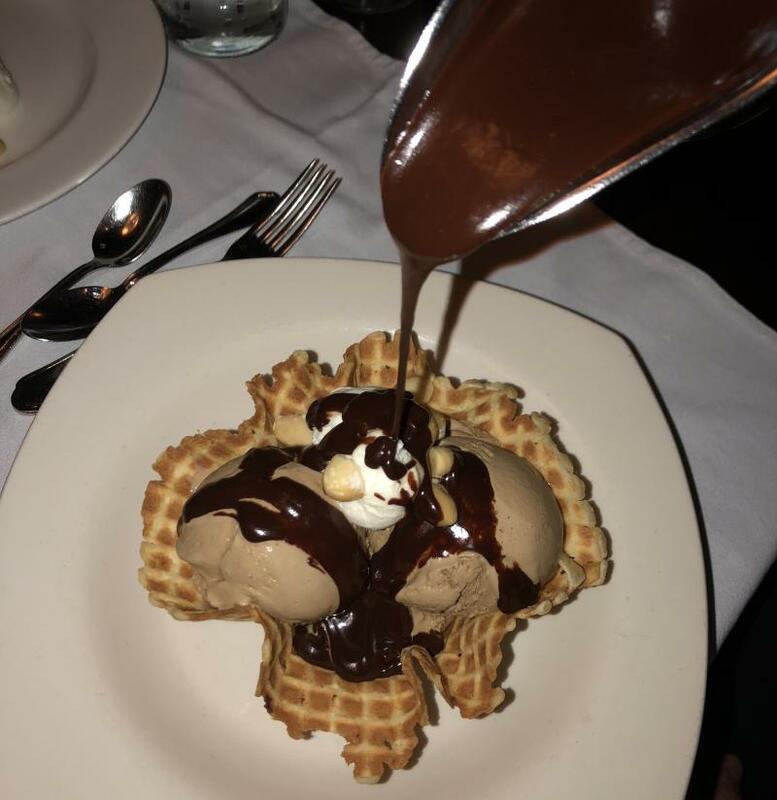 Bern’s is definitely known for its steaks and wine, but perhaps the best-kept secret is the Harry Waugh Dessert Room at Bern's. Bypass the main dining room and save, I don’t know, maybe $200 by heading straight to the dessert room. There are many options, but naturally the ice cream is my favorite. Each flavor is homemade, which makes each different taste rich and decadent. They're most well-known flavor is the macadamia nut ice cream, which is made of a sweet, creamy ice cream blended with buttered, roasted macadamia nuts. Some of the other outstanding varieties include cinnamon, graham cracker, peaches and cream, and Caramélia Crunch Milk Chocolate Malt. The best way to tackle it is to get the three scoop combo, where you can pick any three options and pile them into the dish. Oh, and you must get a side pitcher of their out of this world caramel or chocolate fudge (my personal favorite) sauces, because I mean, it’s not like you can go to Bern’s every day right? But don't miss this legend of South Tampa. The only words capable of doing Dairy Joy justice are hole-in-the-wall. If you're looking to live like the locals, this is the place to be. They offer everything from snow cones to soft serve to hard serve ice cream. By far the best option on the menu are the spoon-thick milkshakes. Whatever ice cream combination you're craving at the moment, they will whip it up to create the perfect texture, combination and ratio of ice cream to topping. Beyond the taste, the joint itself has a small-town feel that makes it a classic Tampa spot. Dogs are always welcome, and they even have a special treat made just for them. It's the “pup cup,” a small cone with a vanilla twirl topped with small dog treats. The best part: it may just be the most reasonably-priced place in all of Tampa. However make sure to have cash in hand because they will not accept credit cards, which may seem like a pain, but actually adds to the overall experience of this old-fashioned shop. Step aside chocolate and vanilla, Revolution Ice Cream Co. has deviated from traditional flavors by concocting outlandish combinations, all with equally quirky names. My personal favorite is Matt’s Fatty Rolls, a cinnamon roll ice cream topped with an icing drizzle, finished off with a sprinkle of cinnamon sugar. I'm constantly on the lookout for terrific cinnamon flavored ice cream, which may be weird but I am addicted. This is the best cinnamon ice cream in town hands down. Some other favorites include Eurotrash, made of Nutella ice cream with Biscoff cookie crumbles, and Mint Want Cookies made of mint ice cream with Andes candies, chocolate chip cookies and cookie dough. The only complaint I have is that they have just way too many options making it hard to decide on just one. But the brilliantly creative people at Revolution came up with the solution of selling flights of ice cream that allow you to choose six scoops of the most intriguing flavors. This way you get to sample a little bit of everything! 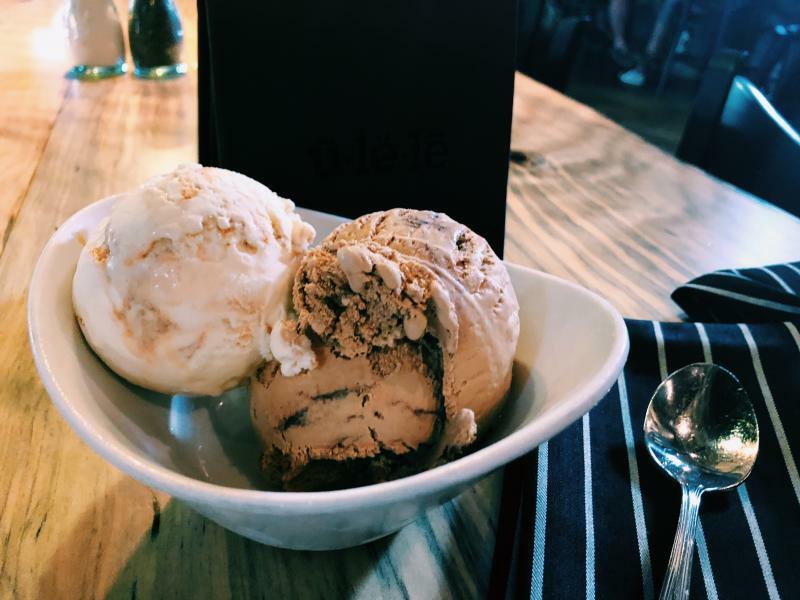 Beyond their oysters, alligator hush puppies, and white cheddar mashed potatoes, Ulele has some of the best ice cream in town. 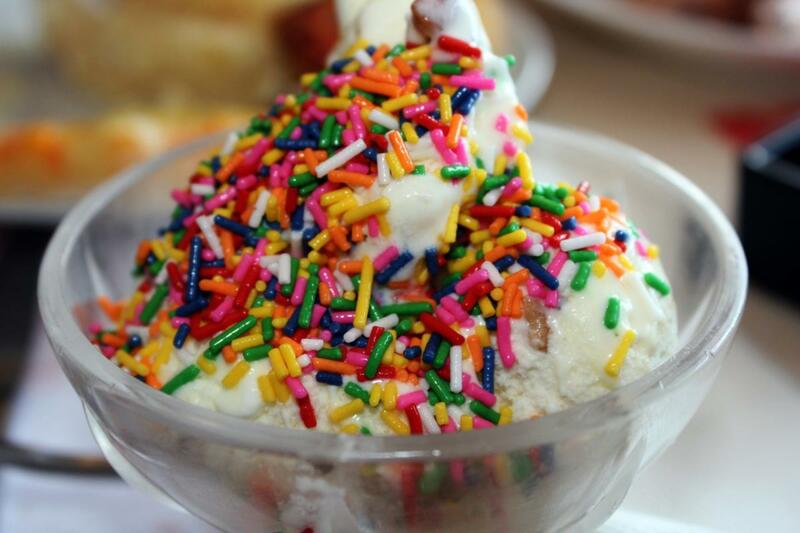 And it's fairly priced at $5 for two generous scoops, with all of their flavors made in-house via fresh ingredients. If you're addicted to anything and everything coffee, then I will personally drag you to Ulele to try their coffee ice cream. Their Naviera Espresso Chocolate Swirl is the highlight of the menu, made of espresso flavored ice cream with a swirl of melted chocolate. The added touch of chocolate is what sets it over the edge, I cannot suggest it enough. All of their other flavors are delicious as well with a rich chocolate and classic vanilla bean. 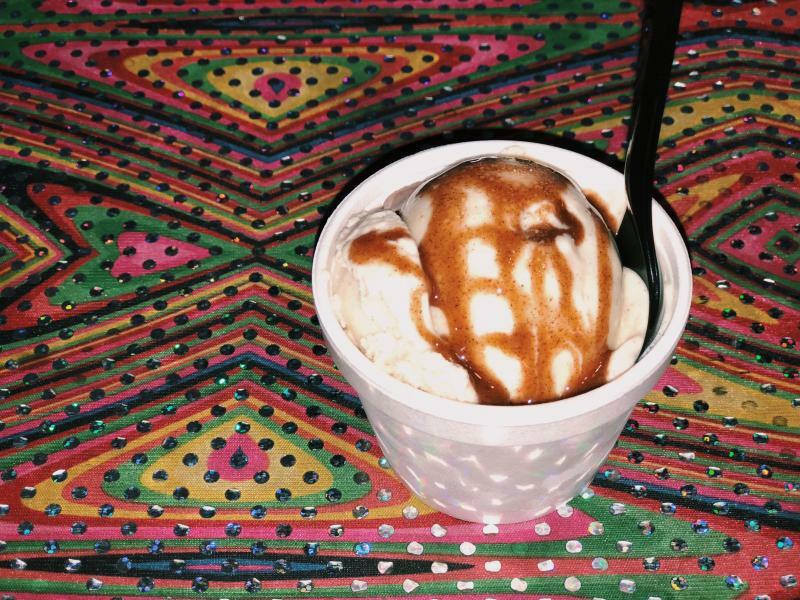 Always ask about their flavor of the day because if you are lucky enough, the waiter will exclaim Dulce de Leche. Like the coffee, this may rival any other ice cream I have ever tasted (which is a lot). It's a creamy base that resembles the sweet taste of caramel, but is not as overwhelmingly rich as typical caramel ice cream. When the waitress described the flavor, she compared it to a sweet condensed milk, and this was completely accurate. After finishing our bowl, we sent a message to the chef to add this flavor to the regular menu so that we could order it every time at Ulele in Downtown Tampa. Yes, it was that good. 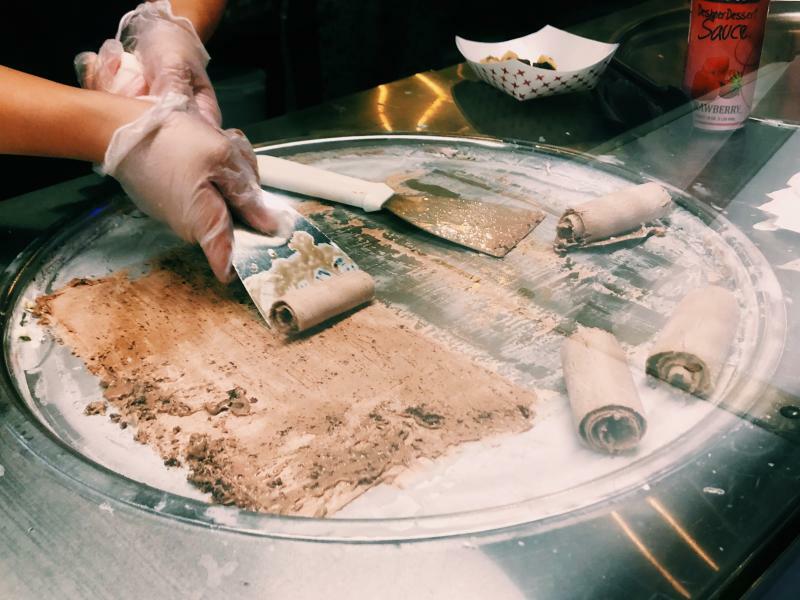 Hop over to Jeremiah’s for a delicious twist on your classic understanding of ice cream. 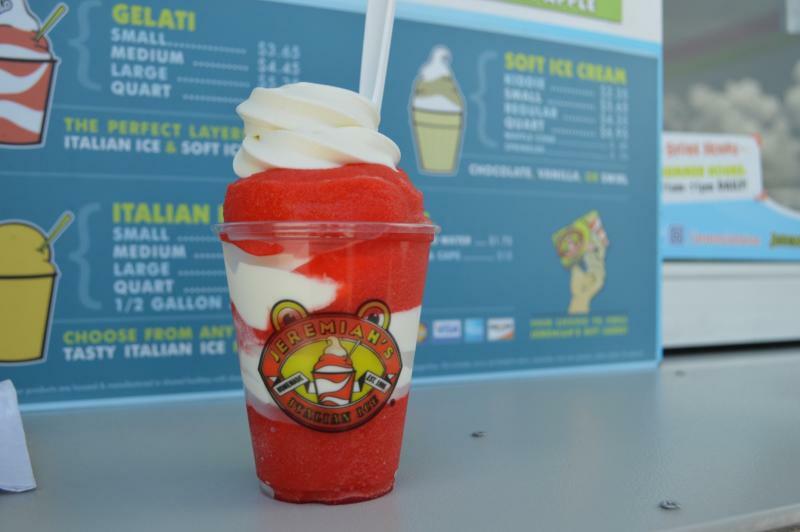 They're known for Gelati, a combination of flavored ice and soft-serve ice cream. Surprisingly, this makes for a delicious treat that's refreshing especially for the heat we endure in Tampa. They have an endless amount of flavors to choose from, ranging from mint chocolate chip to passion fruit. The soft serve itself is perfectly rich and creamy, while the ice bursts with flavor. Even if you just want soft serve or shaved ice, they offer that too. Take a trip down South Tampa if you are looking for a cool, refreshing break from a long day in the sun. This is another age-old Tampa classic in the middle of tony Hyde Park. When I was little, I would beg and beg my mom to take me here. Whenever she caved, it was perhaps the best day of my summer. 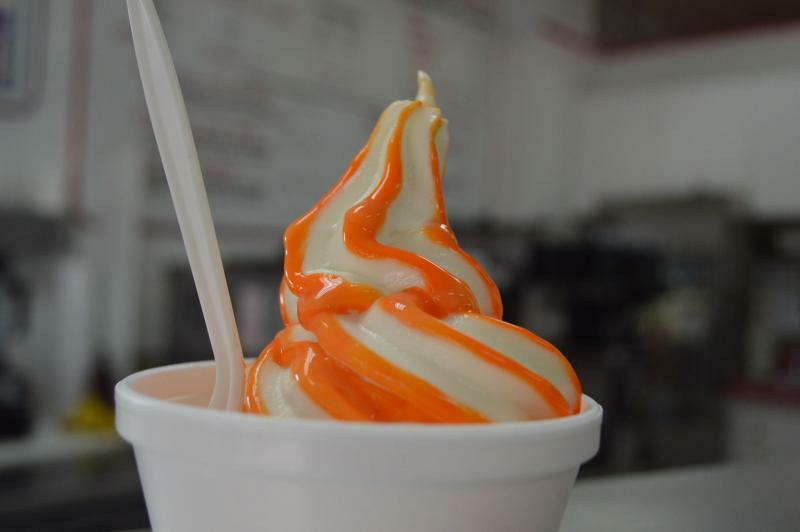 The menu is simplistic with great soft-serve yogurt and a variety of flavors. If you have a sudden craving but only a small frame of time, they have a drive-thru to cater to all your ice cream needs. Around Christmas time keep an eye out for their peppermint stick ice cream, which is the best festive flavor around. They've served this each December for years, making it a special treat during the holiday season that tastes like Christmas. Jump into the Year 2050 with this futuristic experience of concocting your own ice cream combination made right in front of you in the middle of Ybor City. It starts as a milk base of your chosen flavor, then they add whatever toppings you choose. The mixture is then poured over a cold plate, freezing the milk into a flat sheet that is then rolled up to be placed in a cup. It's a unique way to eat ice cream that makes you feel as if you’ve jumped into the future. The product is especially photogenic, so get your phone ready because as everyone knows “phones eats first”. No matter where I buy my ice cream from, I always have one guarantee: cookie dough flavored ice cream is never bad. I've never considered just how good cookie dough ice cream could be until I ventured into Dough Nation. 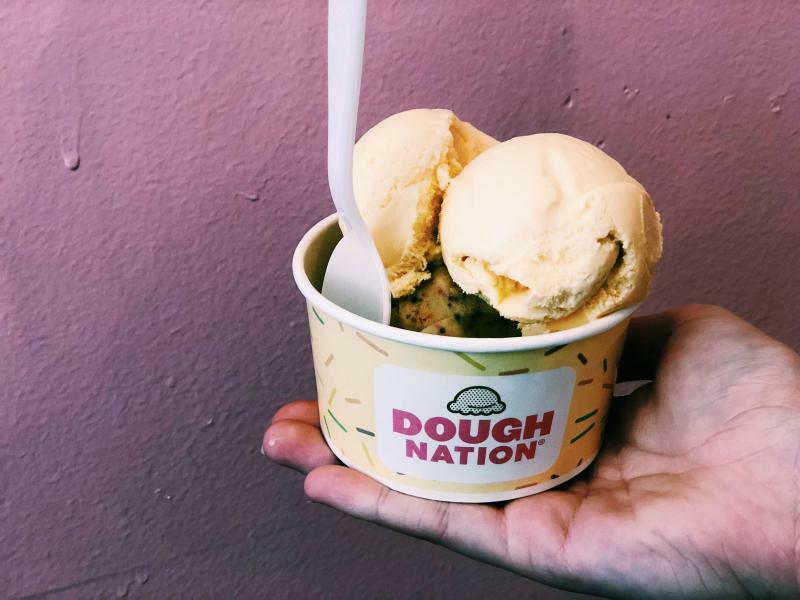 Dough Nation is Downtown Tampa’s effort to take advantage of the gourmet cookie dough trend, and it does not disappoint. They have a variety of flavors including your classic chocolate chip, s’more, and peanut butter fluff, as well as multiple ice cream flavors such as raspberry truffle, espresso chip, and of course, chocolate and vanilla. By far, the best thing on the menu is the sundae, combining the two textures. When ordering the sundae, you pick an ice cream flavor and a cookie dough, which is topped off with your choice in sauce, a tiny cookie, their Rainbow Magic Dust, whipped cream, and a cherry. This has to be the best invention since sliced bread. Not only is it delicious, but the store itself functions completely for the sake of Metropolitan Ministries. All of the store’s profits are sent over to the organization to help feed the hungry in Tampa Bay. I mean it’s for charity, right? Yet another futuristic take on ice cream creation, Astro forms your ice cream order right before your eyes using liquid nitrogen to flash freeze your order in the middle of Heights Public Market at Armature Works. The process is simple: you pick flavor and toppings and then your order is done in a flash! There are multiple out of this world flavors to choose from like cotton candy, dulce de leche, and the classics chocolate and vanilla. 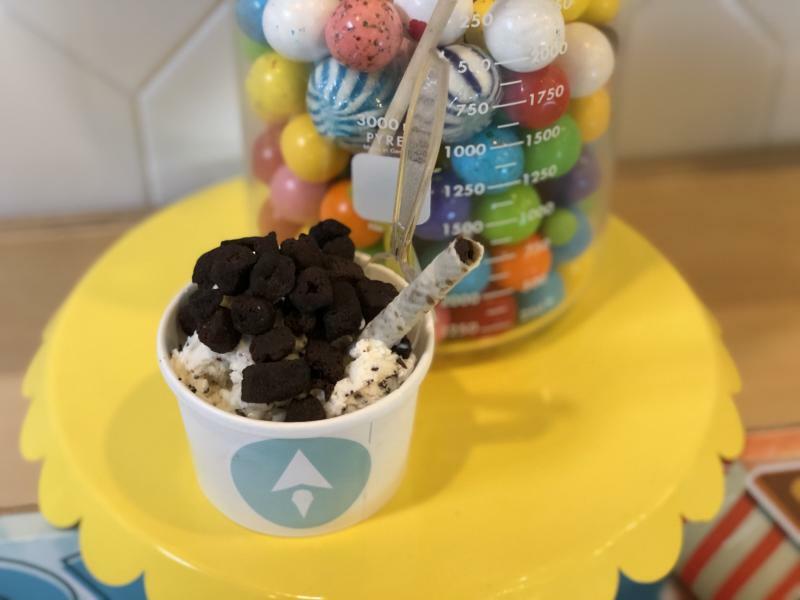 The topping options reach to infinity and beyond with your basic options like Oreo's and marshmallows to the more far out options like mango and potato chip crumbles. This is a fun, exciting way to consume tasty, futuristic ice cream! If you are looking for more great restaurants in Tampa, register on 813area for you free guide to everything local in the Bay area! Cover photo courtesy of Public Domain Pictures.